Birds Nest is so happy to be the home of the Embrace Woven Embracelet, with all proceeds going directly to the Body Image Movement! The Body Image Movement is devoted to helping women love and embrace their bodies. This Embracelet is super fun and I absolutely love it! Lovely colour and fantastic message! This is a lovely bracelet although perhaps could have been a fraction smaller when closed on wrist. 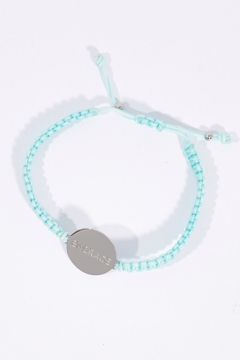 My aim for this Embracelet is to give it too my daughter as a reminder to EMBRACE her body and EMBRACE her life. I love that it is simple enough to match it with everything, especially her school uniform which is relatively strict. This whole movement is inspiring to her. Also......the delivery is incredibly fast!!! !